No, you can’t always get what you want. You can’t always get what you want. You can’t always get what you want. But if you try sometime you find, You get what Dominion Power wants. The bill began and ended as a way for Dominion Virginia Power to shield excess profits from the possibility of regulators ordering refunds to customers. Along the way, Appalachian Power jumped on board, even though its president had already admitted the company had been earning more than it should. When we last looked, SB 1349 was undergoing radical rewriting on the floor of the Senate, in real time. Conflicting amendments were being passed around. Outside the chamber, lawmakers from both parties were huddled in hallways with Dominion lobbyists. The coal caucus had already tacked on language making it harder to close coal-fired power plants. Now the Governor, progressive leaders and clean energy supporters were pushing amendments guaranteeing more solar and energy efficiency programs. To get a sense of how impossible it was for the rank and file to follow, check out the bill history with its amendments offered and rejected, and the readings of the amendments waived. With cameras rolling and the clock ticking, senators made speeches about provisions other people told them were now in the bill, but without anyone having the time to read the language they were expected to vote on. That being normal, they voted on the strength of promises made and assurances given. With Dominion Power insisting on passage, the result was never in real doubt. Few legislators want to cross the most powerful force in Virginia politics, and the source of so much campaign cash, perks, and donations to local charities. But they needed to hear those promises made and assurances given; otherwise, what would they tell their constituents, when newspapers across the state had been blasting this bill? The promises made and assurances given also quieted the environmentalists who had led the opposition. Consumers, we were told, would now see investments in solar and energy efficiency that would bring long-term savings, energy diversity and greater price stability, as well as lower pollution and new jobs. The bill would contain firm commitments and produce meaningful investments in energy efficiency and solar power. The Senate passed the bill, and then finally everyone read what had been voted on. Yes, Dominion had got what it wanted, but then it got . . . even more of what it wanted! The bill contains a solar provision that smooths the way for utilities to develop or buy up to 500 megawatts of solar power, using Virginia suppliers. But it doesn’t require any minimum solar investment or contain a deadline for getting that solar power on the grid. As for efficiency, SB 1349 does now contain a provision requiring utilities to create ”pilot programs” for energy assistance and weatherization for low-income, elderly and disabled customers, but it doesn’t say how big a program has to be or how much money must be spent. A “pilot program,” by definition, is small and experimental. It is a baby step, when we were expecting adult strides. While clean energy advocates were still trying to figure out what happened to the promise of firm commitments and deadlines on solar power, SB 1349 blew through the House. In short, the final bill language now on the Governor’s desk gives Dominion the authority, but not the obligation, to make clean energy investments. Virginia law gives our governor an option that most states don’t offer: rather than sign it or veto a bill outright, he can amend it and send it back to the legislature for a final vote. That makes Governor McAuliffe the one person who can still salvage something from this miserable bill. He can put in the solar numbers and dates that went missing—or raise them further—and put hard targets into the efficiency programs. Doing so would finally put McAuliffe on the path to creating all those clean energy jobs he campaigned on. Dominion will still get what it wants, but if McAuliffe will try, we might get what we need. 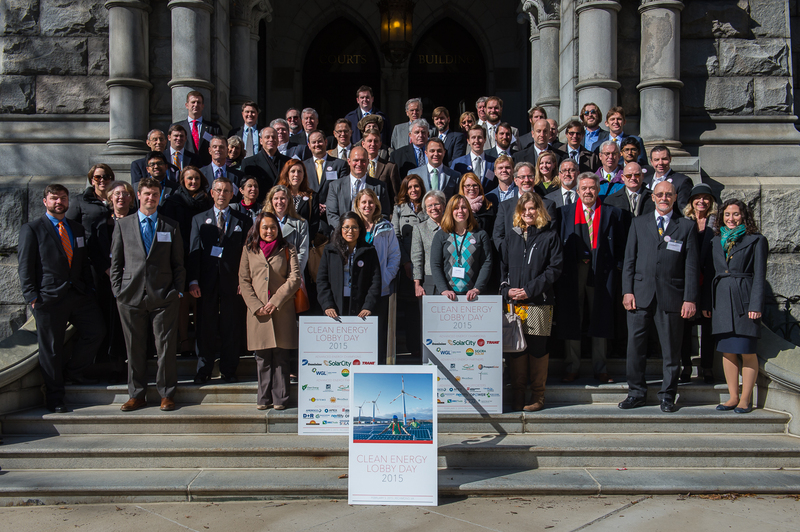 The fourth annual Clean Energy Lobby Day on February 3d brought representatives from businesses across the state to Richmond. Photo courtesy of MDV-SEIA. More than a hundred representatives of energy efficiency and renewable energy businesses descended on Richmond Tuesday for Clean Energy Lobby Day. After meetings with legislators, many of them stayed to attend a critical subcommittee meeting where most of this year’s clean energy bills came up for votes. And they came away with one overpowering impression: the only bills that can make it out of committee are the ones supported by the state’s utilities, especially Dominion Power. But that wasn’t quite the end of the story. Because by the end of the week, they also found that the groundwork they had laid with their lobbing, and their tenaciousness before the subcommittee, created an opening they would not otherwise have had. Things started bleakly. The House Commerce and Labor Subcommittee on Energy turned back multiple proposals that would have benefited Virginia’s small renewable energy and energy efficiency businesses, as well as their customers. Going down to defeat were bills to improve the renewable portfolio standard (HB 1913), create an energy efficiency resource standard (HB 1730), require a more rigorous study before utilities can impose standby charges (HB 1911), make third-party PPAs legal across the state (HB 1925), and enable an innovative vehicle-to-grid (V2G) project (HB 2073). One small success was the raising of the cap for individual commercial renewable energy projects from the current 500 kilowatts to 1 megawatt (MW) (HB 1950). Bills to increase it to 2 MW were discarded. The bill was also passed out of the full committee on Thursday. 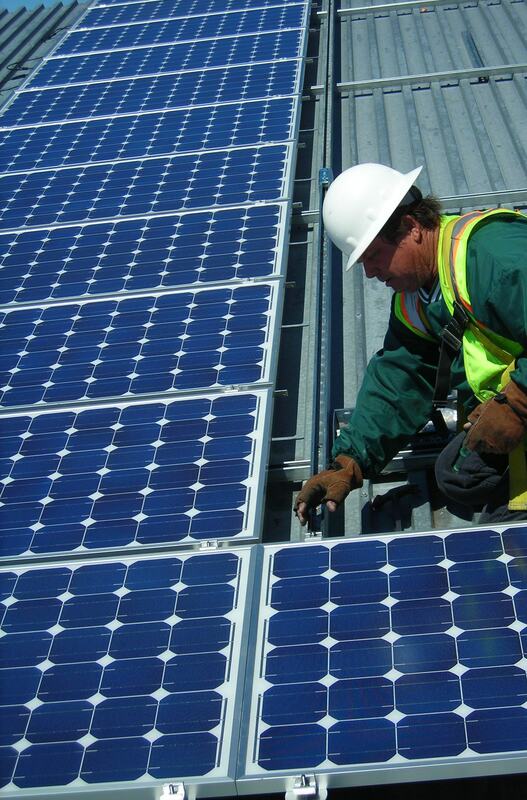 Also reported out was HB 2267, creating the Virginia Solar Development Authority. It passed in the full committee on Thursday but was then referred to the Committee on Appropriations. With a few exceptions, the good bills lost on party-line voice votes following testimony from utilities in opposition to the measures. Republican committee members repeatedly expressed their concern about the potential impact on other ratepayers of bills that would make it easier for utility customers to generate their own power, or that would require utilities to buy a smidgeon more renewable energy. Indeed, anyone who thinks Republicans don’t care about poor people should have been in that room. The outpouring of concern for struggling families was tremendously affecting. These brave souls made it abundantly clear that nothing that could be construed as a subsidy would sneak by on their watch. Those of us who had seen some of the same delegates vote just last week to continue giving tens of millions of dollars annually in subsidies to coal companies, could not help noting the inconsistency. This was all the committee wanted to hear, and a motion had already been made to report the bill when the members were suddenly treated to an earful from the solar industry—not in support of the bill, but in opposition. Francis Hodsoll of Virginia Advances Energy Industries and Jon Hillis of MDV-SIEA, the solar industry trade association, praised the goal but urged that the bill be amended to open up competition for building the solar projects. Utilities might prefer to build the projects themselves to earn their guaranteed return on investment, said Hodsoll, but ratepayers would benefit from lower costs and in-state jobs if independent companies were eligible to bid. Tony Smith of Secure Futures, LLC, further explained that federal tax incentives strongly favor independent companies developing projects instead of the utilities doing it themselves. He said an independent firm that develops a 20 MW project can sell solar for 5 cents per kilowatt-hour, a far better price than a utility can achieve building the same project itself. Catchy idea. The committee proceeded to report the bill without changes, but Kilgore encouraged the patron to work with the solar industry on possible amendments prior to the full committee meeting on Thursday. The industry’s stand had an effect. When the bill was taken up on Thursday, it included an amendment allowing utilities to buy power from a third-party developer before purchasing the project itself. This should be significant because the SCC would presumably insist on the lowest-cost approach. In an email, Francis Hodsoll told me the industry now supports the bill, which passed the full committee. 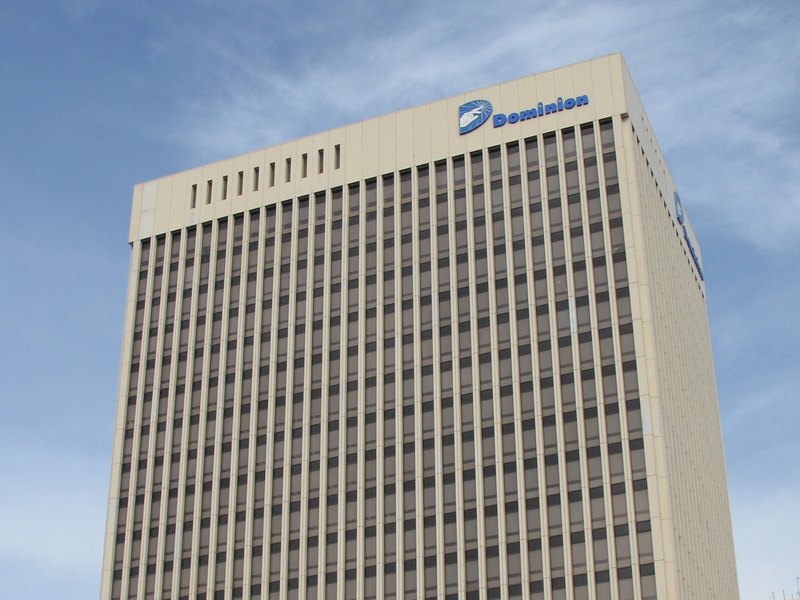 With Dominion’s recent announcements of its plans to move forward with as much as 400 MW of large-scale solar projects in Virginia, this is a hopeful sign for utility solar in the state. 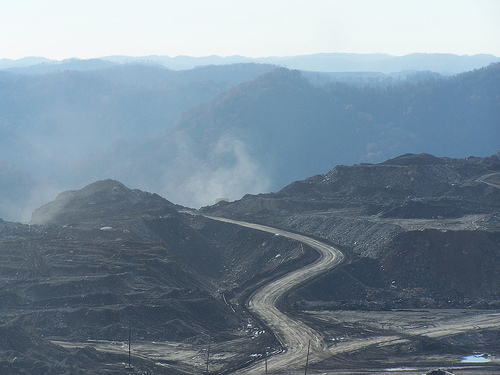 Only one project has actually been announced, a 20 MW project in Remington, Virginia. It should also make it easier for Dominion to move forward on offshore wind, a major plus. Admittedly, the struggle for distributed solar continues. The happy ending on the Yancey bill means little to members of the industry struggling to make a living doing residential and small commercial projects. They had pinned a lot of hope on the grant program that passed with such fanfare a year ago, only to sink like a stone in a House subcommittee this session. On the other hand, those who take the long view believe that once Virginians get familiar with the benefits of solar, it will become an unstoppable force. The indicators point to success in coming years whether utilities like it or not. In addition to the clean energy bills, the subcommittee also took action on two climate bills Tuesday. It rejected Delegate Villanueva’s HB 2205, which would have had Virginia join the Regional Greenhouse Gas Initiative as a vehicle to reduce carbon emissions. (The Senate companion bill died on a party-line vote last week.) It was the only legislation this year that would have taken positive action to address climate change and raise some of the enormous sums of money that will be needed to address the consequences of sea level rise. Instead, it passed HB 2291 (O’Quinn), a bill that would require the Department of Environmental Quality (DEQ) to get approval from the General Assembly before submitting to the U.S. EPA a plan to implement the Clean Power Plan. Since the Republican majority has made its hostility to the Clean Power Plan clear, this is widely seen as a way to keep the state from acting at all. The bill also passed the full committee Thursday on a straight party-line vote, a clear indication that it is about party politics and anti-Obama Administration sentiment, not climate change. Over in the Senate, however, saner heads prevailed. Senator Watkins amended his companion bill, SB 1365, simply to give DEQ direction on what to consider in developing the plan, and to require it to consult with the SCC and to meet with General Assembly members. The substitute bill passed Senate Agriculture unanimously. Meanwhile, Senator Wagner’s bill to protect utility profits and shield Dominion (and now APCo too) from SCC scrutiny through the end of the decade sailed through Senate Commerce and Labor in spite of sparking the kind of outrage and condemnation in the press usually reserved for bills on guns and abortion. Editorial boards excoriated the legislation; Wagner was forced to sell his Dominion stock. Environmental groups, which had first sounded the alarm, staged a protest outside the General Assembly on Thursday morning and spurred thousands of constituents to write letters opposing the ratepayer rip-off. As a consequence, SB 1349 ran into trouble on the Senate floor Thursday afternoon, and a substitute was introduced consisting of two pages of such dense regulatory detail that I cannot possibly tell you what it means. Anyone with the gumption to try to understand it may be wasting their time anyway, because I hear it remains in flux, with negotiations underway right now. Senator Donald McEachin reportedly is working to make it less objectionable. One thing seems certain: the senators who will be asked to vote on this will have no chance to review the language and reach their own conclusions. It’s a lousy way to make sausage, but it’s ours.